UK-based OpenSignal has released their State of LTE report (June 2017), which ranks global LTE performance. 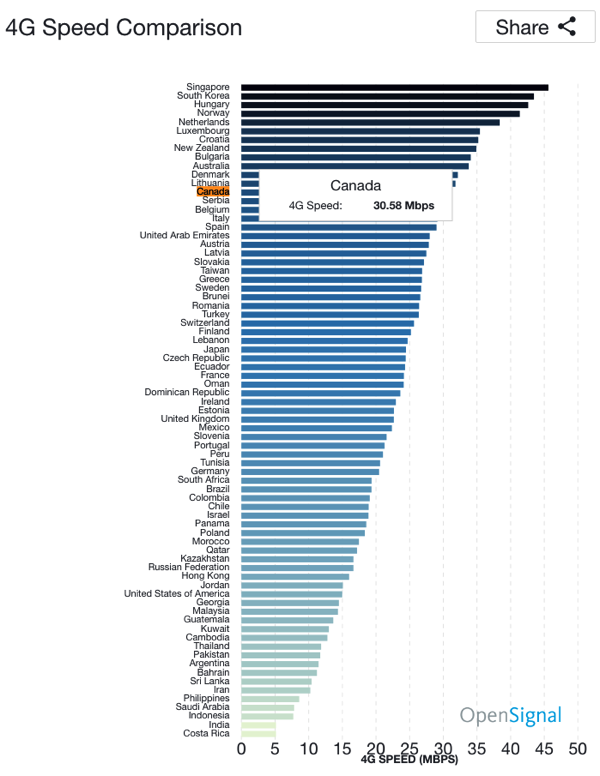 The report also included data for Canada, which saw us ranked 17th worldwide when it comes to 4G/LTE availability, and 13th worldwide for LTE speeds, averaging 30.58 Mbps. The top three are Singapore, South Korea and Hungary, with average speeds of 45.62 Mbps, 43.46 Mbps and 42.61 Mbps respectively. Our neighbours down in the U.S.? They get average 4G speeds of 14.99 Mbps. 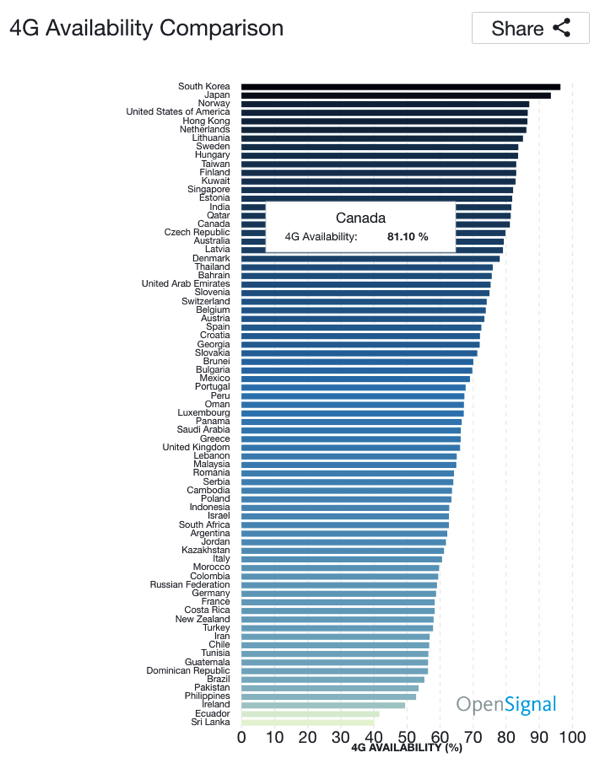 When it comes to 4G availability, Canadians can expect to have access 81.10 per cent of the time, according to OpenSignal’s research. Compare this to leader South Korea at 96.3 per cent, followed by Japan at just over 90 per cent. The report is based on over 19.5 billion measurements from over 558,000 devices running the OpenSignal iOS and Android app, from January 1 to to March 31, 2017, in 75 countries.